Fragmented and dysfunctional. K Sujatha Rao has no reluctance in referring to these two words when describing the Indian healthcare scenario in her magisterial overview, “Do We Care? India’s Health System”. She knows what she’s talking about: she was health secretary in the centre and has spent almost 20 years in this sector. She is not merely critical and only lamenting the poor government spending on health. Rather, she presents a careful analysis of developments like the withdrawal of the state from the health sector, public-private partnership, lack of regulatory mechanisms, and above all the government’s deviations from the laid-down rules and regulations. It is no surprise that the health system is in a fractured state. The primary care is barely functional, while public hospitals at the tertiary level are overcrowded. We still hear news of a husband carrying the dead body of his wife from his hamlet to the nearby town because the ambulance was not available, or a newborn eaten up by rats in a government hospital. We continue to struggle with high infant and maternal mortality rates. And every time we raise the question all over again: how did the downfall start? The first part of the book extensively focuses on these aspects. 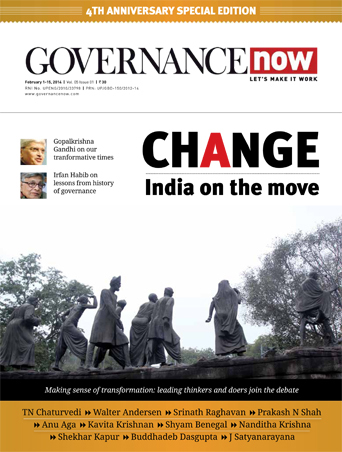 It covers challenges and constraints since independence, public spending and the role of governance. 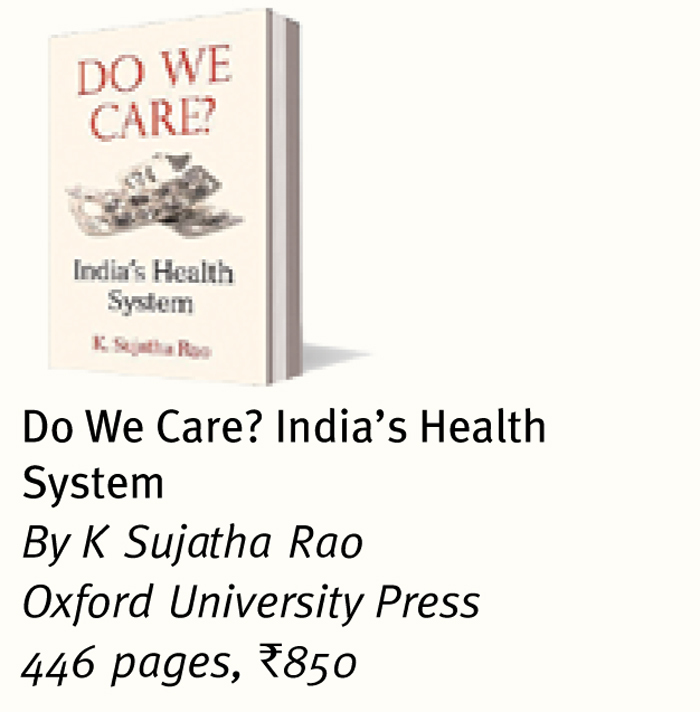 As Rao traces history, we realise that India’s health policy has always been reacting to specific issues of a particular time. She proves her argument by juxtaposing India with China, which too has a colonial past and huge population. She writes, “While India in the early years of Independence focused on a narrow public health agenda of containing malaria and promoting family planning and medical education, China located barefoot doctors within the communities and launched multiple campaigns to change individual behaviour towards consumption of boiled water, public hygiene, sanitation and cleanliness.” Ironically, we are struggling to cope with these social determinants even after seventy years of independence. It was the beginning of the fragmented approach of the health system. 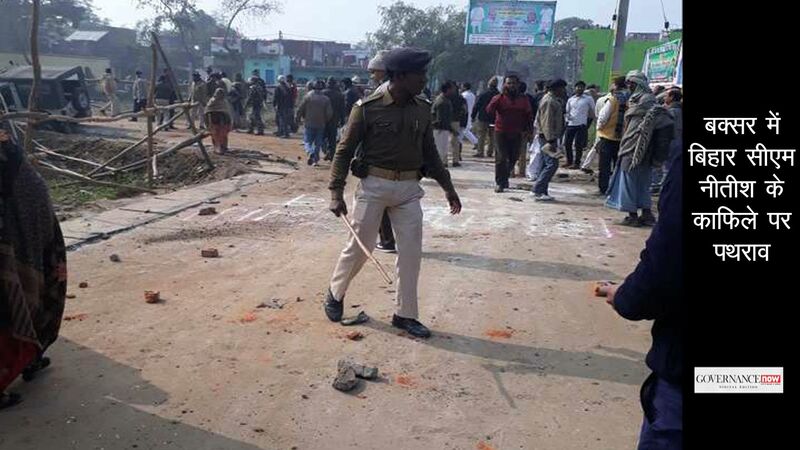 By the 1960s the thought was that “rural areas can do with a few public health and disease control interventions while urban areas would need medical care.” The real setback came after liberalisation in the 1990s. “Services became commodity, hospitals became lucrative commercial enterprises, medical education became investment destinations and patients became clients.” Even then the goal of Health for All by 2000 went down the drain. By the time we reached the 11th five-year plan, the public health spending increased from a dismal 0.9 percent to a slightly less dismal 1.1 percent. Even then, the fund allocation was uneven across the states, creating gaps between them. This ongoing change at the governance level with no fixed targets has certainly raised the out-of-pocket expenditure of the masses. By withdrawing from spending, the centre and states have given an open field to private players. The condition of the health sector that could not fulfil the needs of the population coupled with the private sector lobbying to utilise its capacity paved the way for medical insurance. Rao calls the public-private partnership in public health a “dangerous cocktail”. She cites the case of a district hospital in Bhuj, Gujarat, given over to the Adani group in 2006, and a district hospital in Chittoor, Andhra Pradesh, handed over to the Apollo group for 33 years recently. “The fiscal implication can be substantial in the absence of a policy for making commensurate investments to strengthen the hospitals below the district level for providing secondary care and instead handling over public hospitals to private corporates for providing tertiary care. Besides, in the short term it also implies denial of free care to the poor, largely due to the government’s inability to enforce the condition,” she writes. The rate at which the private sector is growing in India is the reason behind its dominance in every aspect of health policy formulation and implementation. Rao points out how foreign funding from the World Bank and similar organisations intervenes at policy levels. Other main reason for corporate dominance is the government’s silence on the regulatory mechanism. No wonder health, according to Transparency Index, 2013, is the most corrupt sector in India. “I have heard several politicians and lawmakers explain such abdication of their fundamental duty of enacting and enforcing laws on grounds of not allowing the re-entry of ‘inspector raj’. The same argument is also used to explain the overall reluctance to regulate the private sector in health,” Rao notes. 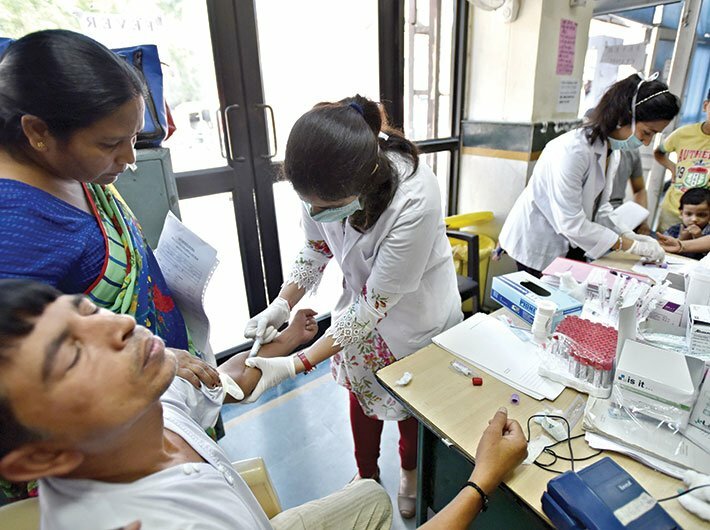 India has some success in its kitty too, like prevention of HIV/AIDS by strategic planning as well as the National Rural Health Mission (NRHM), one of the major programmes after independence to improve rural healthcare. An in-depth analysis of how these programmes turned out to be exceptional is presented in the second part of the book – Implementing policy: success, failures and road ahead. Rao is certainly not pessimistic. She has given solutions for every crisis the Indian healthcare sector is going through, from utilisation of funds to improving the policy design and quality spending in closer alignment with the set targets. According to her, merely increasing the budget is not the solution. Things need to be improvised at the governance level, like the expenditure management is still in an unclear state. There is no motivation among doctors or civil servants for good performance. The transfer of funds from the centre to states is such a lengthy process that funds remain unutilised. Rather than looking at technological solutions and expensive medical care, Rao suggests focusing more on social determinants like water supply and sanitation to bring down the casualty level. She favours strong action against the MCI for diluting the quality of medical education, because in many places the difference between trained doctors and untrained quacks is almost negligible. She discusses procurement of drugs and medical devices and how it can reduce out-of-pocket-expenditure and impoverishment. For a better India, it’s high time health was given the top priority, and this volume shows how to do it.